This bracelet is approximately 6.5 inches long. It is made with size 11 pink and gold Delica beads from Myuki. The toggle clasp is gold vermeil. 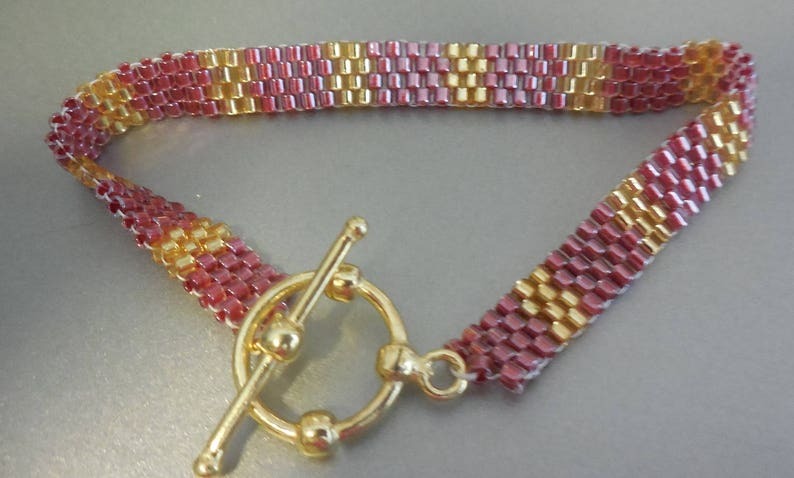 This bracelet was made using the Peyote stitch. Great to wear alone or with similar bracelets! Exactly as described. Good quality and fast shipping. Thanks! Oh boy can we have fun now! What a buy! great price, will be back to this shop for sure! You have fourteen days to return your item.. You must contact me before sending the item back. Buyer pays all shipping costs to return item.